Alcohol free herb Bitter mixture with Hubert sparkling wine gives a bitter taste to the drink that needs to be balanced with sweet chopped fruit and lime. This drink is ideal for afternoon sun tanning on the balcony as well as for parties. If you want you can prepare this drink also in alcohol free version with alcohol free Hubert sparkling wine. 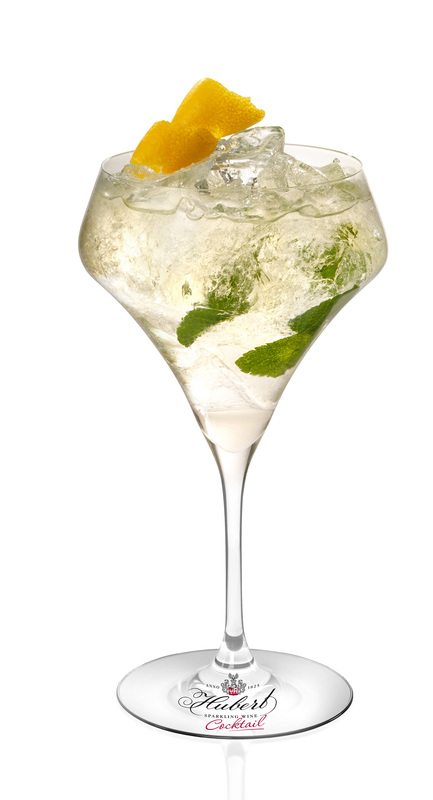 Put lime slices cut in half in a large spritz or Burgundy wine glass and press them with a barman’s spoon. Add MONIN Bitter and Hubert Grand Blanc (Hubert non-alcoholic). Stir in a ratio of 5:1 or as you like. Add berries at the end, sweet berries are better: strawberries, blueberries, mango or peach.